Threatening to close parks has become something of a standard tool for getting the public engaged in the budget process in California and this year is obviously no exception. The list of 70 (down from 220 last time around) State Parks designated for reductions in services (beginning next fall) and, possibly, eventual closing (but not before July 2012) released (for dramatic effect, we assume) on Friday the 13th, makes for sad, and at times somewhat mystifying, reading. It does seem they’ve been careful this time to avoid listing places, like the new Fort Ord Dunes State Park, which might be reclaimed by the feds in the event of closure. The large number of historic parks on the list is interesting, considering that “historic significance” was supposed to be one of the criteria weighing in favor of keeping a park open. Southern California beaches (none being closed) are clearly a higher priority than Central and Northern California beaches (8 on the list, including Moss Landing State Beach and Zmudowski State Beach, here on Monterey Bay), and the San Francisco Bay Area, especially the North Bay, is taking the hardest hit of any part of the state. Besides the beaches, other parks in our area slated for closure include the highly popular Henry Coe, with its extensive backcountry; Castle Rock and Portola Redwoods, in the Santa Cruz Mountains; Limekiln, on the South Coast; and Garrapata, stretching along the ocean just south of Carmel. Further afield, we’re sorry to see great parks like Castle Crags, near Mt. Shasta; the Tufa Reserve, at Mono Lake; and Hendy Woods, one of the least well known and most beautiful stands of old growth redwood in existence, on the list. If you haven’t visited those places, you might want to plan a trip during the next 12 months! There have been statements made that closure will not mean locking out the public (just closing restrooms, parking lots, and things like that) – which makes sense, since the patrolling necessary to keep the public out of popular parks, like Garrapata and Coe, would seem likely to eat up any savings gained from closure. But what, exactly, is the savings to be gained from “closing” an undeveloped park, like Garrapata? Garrapata is accessed on foot from Highway One and has no parking lots. Its only amenities, as far as we know, are its trails (which, from their sorry state, appear to be primarily maintained by users) and a couple of Porta-Potties. Does “closure” there really boil down to saving the pitiful few bucks it takes to maintain the Porta-Pots? Or do they actually intend to just walk away and stop patrolling the park? That would certainly get the community (worried about criminality, fires, etc.) up in arms! But now that we think about it, we’re not sure we’ve ever seen a State Park employee on the trails at Garrapata – and we go there a lot. Would cessation of whatever State Park patrols currently take place at Garrapata significantly change the current situation? If there aren’t any breakthroughs in the budget process, maybe we’ll find out. This entry was posted on Saturday, May 14th, 2011 at 10:48 pm and is filed under Big Sur, Diablo Range, Politics, Santa Lucias. You can follow any responses to this entry through the RSS 2.0 feed. You can leave a response, or trackback from your own site. Just another example of why not all land needs to be under federal or state control. As Xasáuan correctly notes, the savings are likely to be nominal or negative (if No-Trespassing-On-Your-Property patrols are effectuated. In the late 60s, we charged two bucks to use the road to and parking lot at Pfeiffer Beach. We maintained both and took away the trash. Every night we patrolled the beach and “asked” would-be campers to put out their campfires and leave.It worked perfectly and we even made a modest profit.Big Sur Nation community-run parks could do the same and support the schools, library, health clinic and fire brigade for example at the same time. Limekiln functioned quite well as a “park” in the private domain. 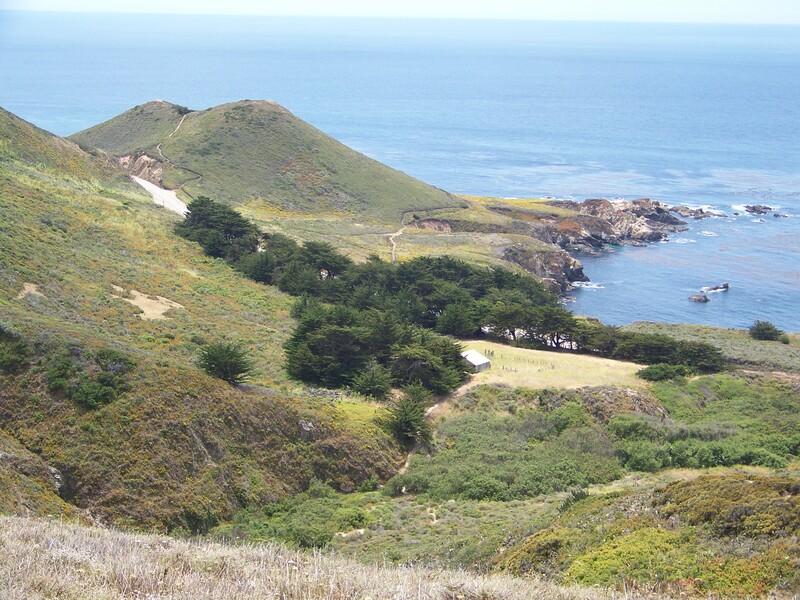 Perhaps the property should be deeded back to the Big Sur Nation community who could then lease it out to an ethical operator. The Boronda property, where I once lived. belonged for decades to Mrs Hathaway, then was sold as part of a larger parcel to the USFS who let the historic house fall apart and then burn in the 2008 fire. Now there are indications the Feds want to dispose of it – which includes the lower part of the Separation Hill trail – as “surplus” property. A Fourth example is the Overstrom homestead property, which unfortunately has now gone into state hands where it will be forgotten at the upper end of Julia Pfeiffer Burns SP. It would have made a lovely Tribal Ground and memorial to Big Sur Nation citizens from an earlier, more blessed and more human era when local participation in a society had much more value.